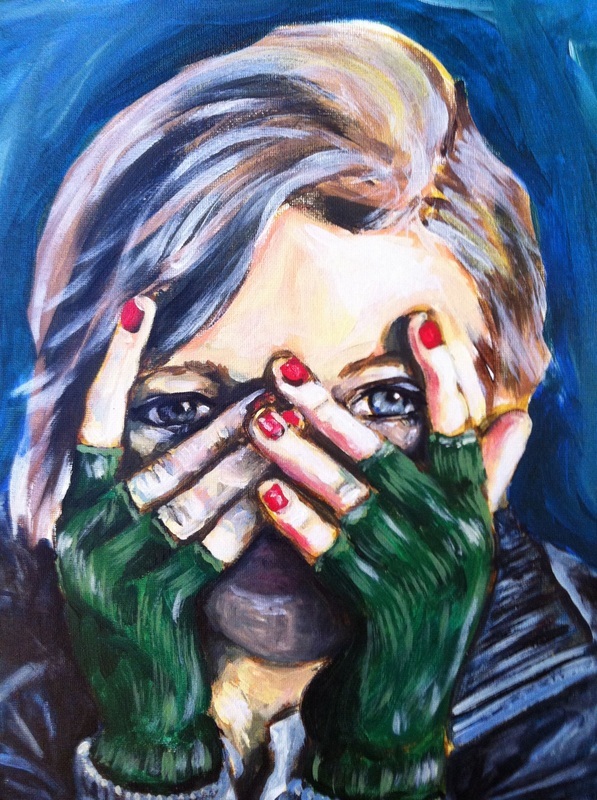 Oil Pastel- portrait of a student. 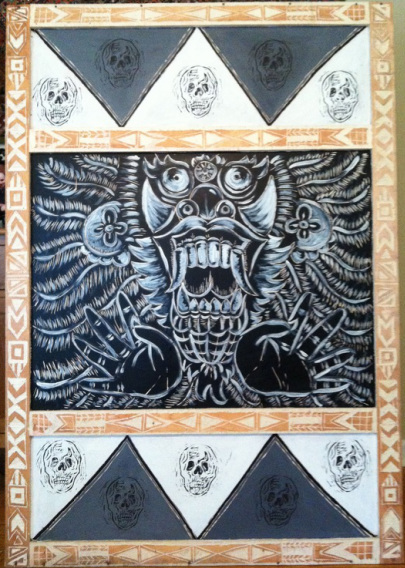 'Balinese Fire Dancer', June 2012, 62"X43", wood with acrylic and linoleum printmaking. 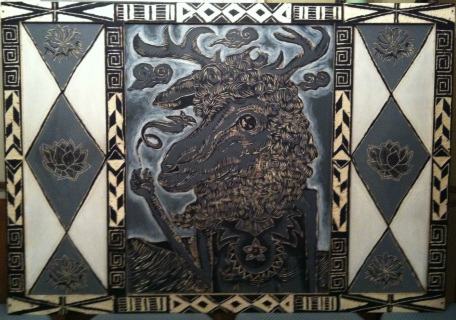 'Stagman' , July 2012, 62"X43", wood with acrylic and linoleum printmaking. 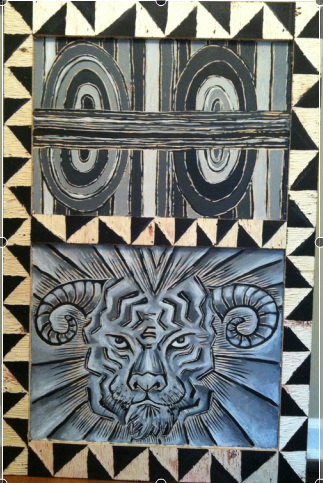 'He Swallowed the Sun', July 2012, 42"X27", wood with acrylic and linoleum printmaking. ''Fiercesome Tiger' July 2012, 42"X27", Carved wood with acrylic. 'Soul Coughing', carved wood with acrylic. 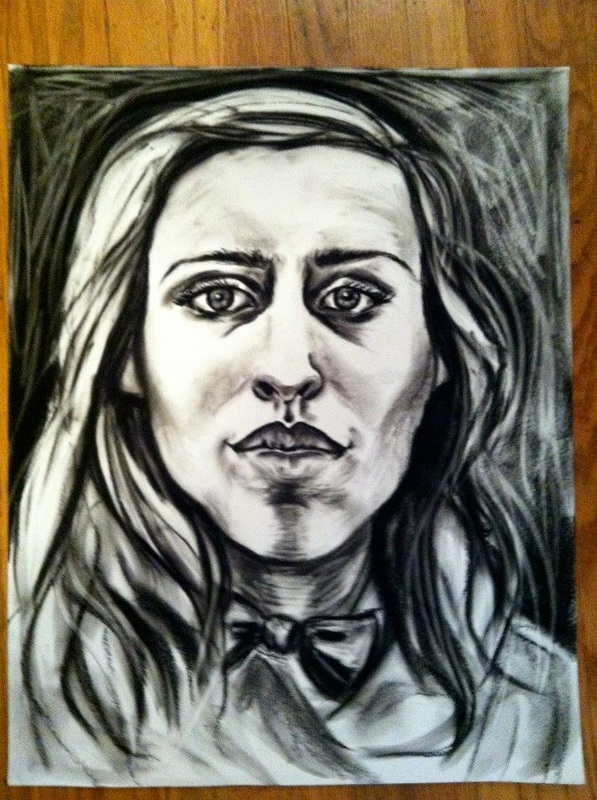 19"X43", $120, SOLD. 'Cold Hands, Warm Heart', Carved wood with acrylic. 43"X19", $120, SOLD. 'Toxic' Carved wood with acrylic. 62"X12". 'Sweet Bones' Carved wood with acrylic. 62"X12", $150, SOLD. 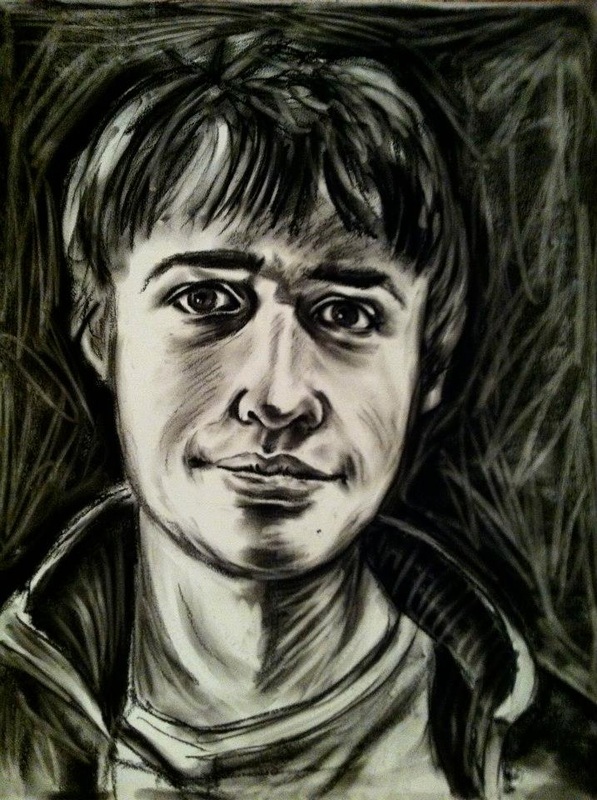 Charcoal- portrait of a student. 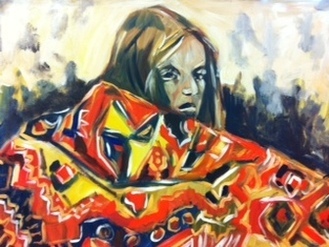 'Navajo Blanket', acrylic on insulation board, $100, 46"X33"
Two Wanderers and Their Dog, 21"X8". 'Duality' 22"X19" Acrylic on carved wood. $100. 'Blooming' 22"X19" Acrylic and printmaking on carved wood. $100, SOLD. 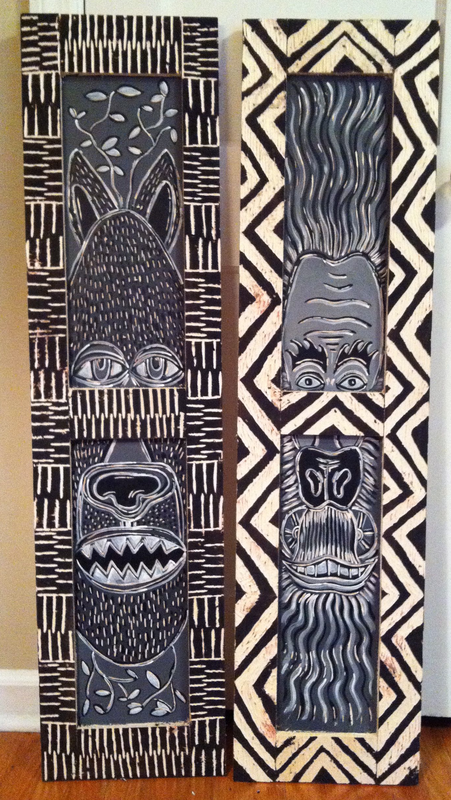 'Furry Friends' Both 11"X43", Carved wood with acrylic. (Left: 'Barking Mad', right: 'Friendly Cousin'.